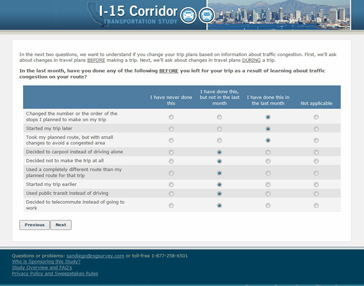 Traveler Behavior Longitudinal Panel | Resource Systems Group, Inc.
As a complement to the Integrated Corridor Management (ICM) Initiative Demonstration projects that are being funded by U.S. 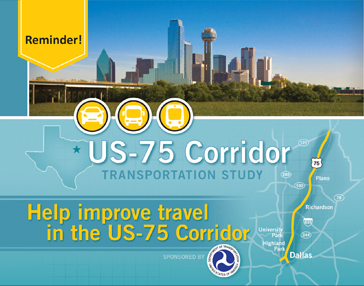 DOT, the Volpe Center and RSG are conducting a 2-year online longitudinal survey panel of automobile and transit peak-period travelers who use the US-75 corridor in Dallas and the I-15 corridor in San Diego. 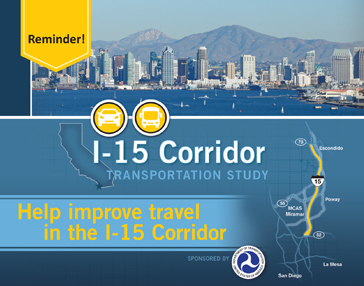 The goal of the ICM Initiative is to best utilize, at a regional level, recent advancements of intelligent transportation systems (ITS) technologies to both manage total corridor capacity and to better inform travelers by providing more real-time information, allowing travelers to actively decide how to make their travel more personally efficient (in mode, travel time, and/or route). RSG and the Volpe Center are conducting (before, during, and after ICM implementation) a series of surveys to measure: 1) changes that occur in peak period travel behavior due to shifts in corridor conditions and improved availability of real-time traveler information; 2) changes in satisfaction with travel in the corridor; and 3) changes in awareness, use, and utilization of real-time traveler information sources. 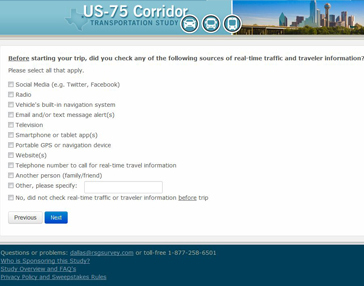 The work required for this project includes the design of a series of web, tablet, and smart-phone compatible survey instruments, a baseline survey instrument, sets of short “pulse” surveys, an update survey, and a final survey instrument. 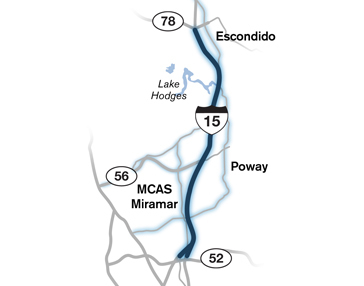 The study also includes conducting a two-year panel management approach that ensures a sufficient sample size of approximately 2,000 panel members in both San Diego and Dallas at the conclusion of the project.